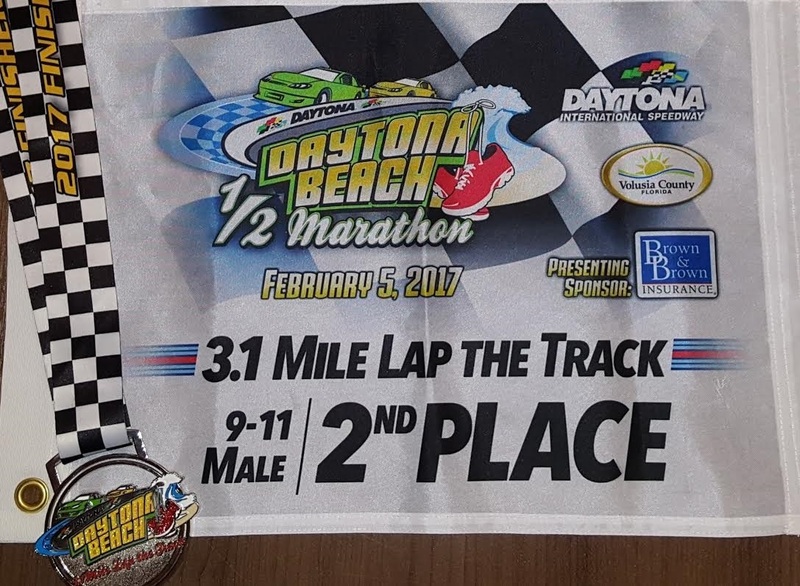 On February 5th, 2017, Volusia County, in partnership with the Daytona International Speedway, hosted the Daytona Beach Half Marathon & 5K. 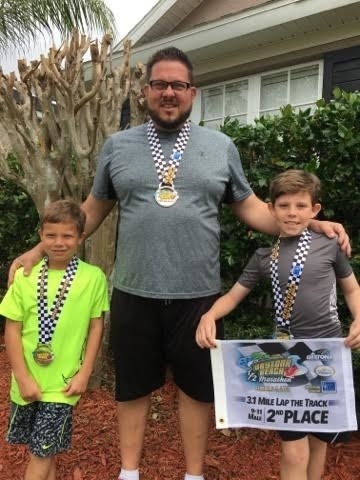 Among the 1397 participants in the 5K were Justin Bundza along with his two sons Gannon and Fisher. 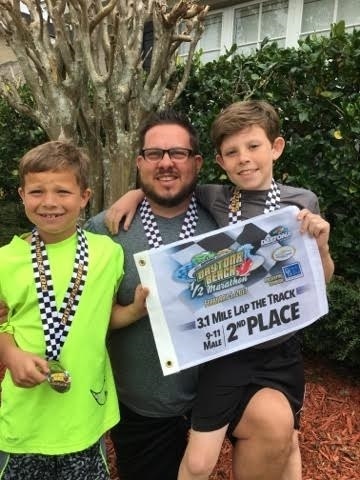 Gannon came in 55th overall and second in his division; Fisher came in 198th overall and third in his division. Justin sure is one proud dad; great job guys. The beneficiary for the race was the Marine Science Center in Ponce Inlet.